There's a burning question being asked thousands of times this spring as Polaris Snow Checkers prepare to lay down significant fresh on a 2020 Polarii. It's pretty obvious Polaris is heavy on choices in the 137 category. This whole paradigm became foggy when Polaris extended the new Indy XC 129 with rMotion quality Pro CC suspension by another 8 inches and launched the Indy XC 137 for 2020. While the arrival of a 137 in the XC shock-in-skid AXYS chassis was a no brainer, it's confounding the choice buyers must make between the Polaris Pro-XC external shock rear end on the familiar Switchback Pro S or the new Pro CC rear end on the Indy XC 137. Okay, we'll jump into the deep end here and make some proclamations. The Pro S Switchback is at or near the top of best handling rides in MY 2020. The Pro S with a 137 rails the twisties. However, it is predisposed to on-trail action using its 137 incher out back to bridge moguls. Conversely, the 137 Indy XC is an exceptional handler using the double coupling of the Pro CC to exit turns, power-on, and stay laser level. The Pro CC 137 is, officially the best riding rear suspension in the Polaris camp- hands down, running away! Consider this as well. 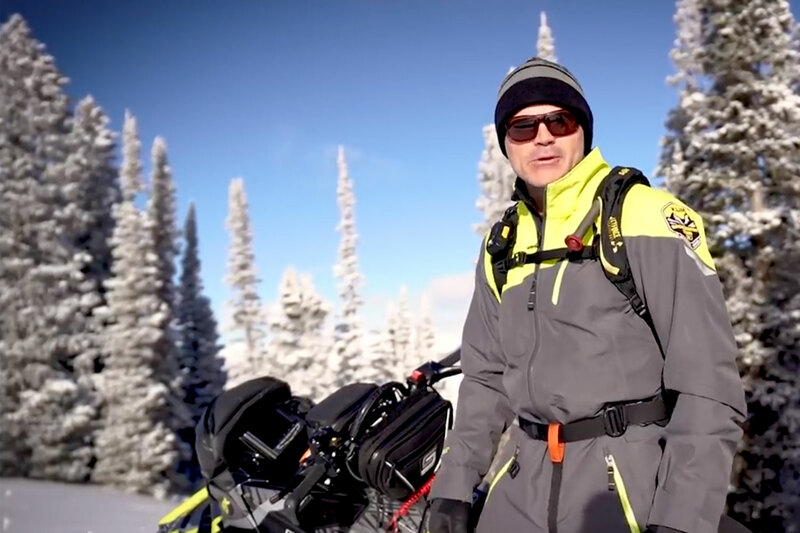 The XC Indy 137, while not our first choice for deep snow forays is as capable as Ski-Doo's 137 Renegade when used off- trail with a 1.5 inch Cobra. Consider this as well. 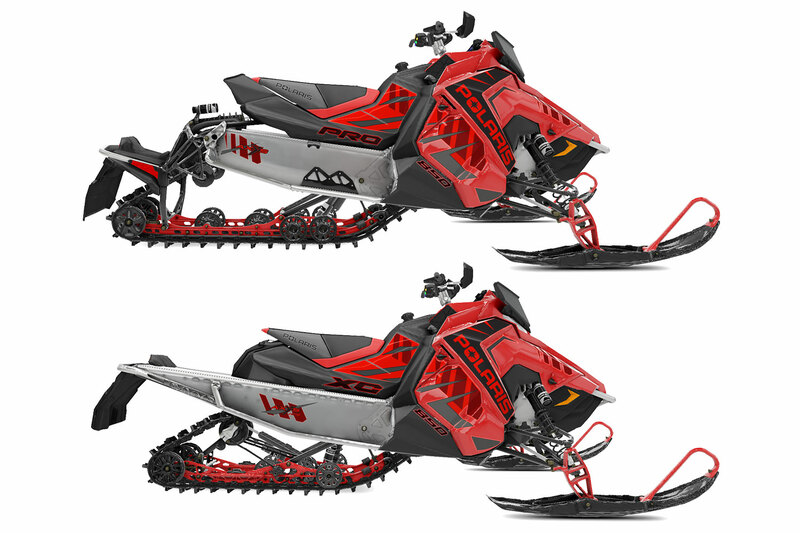 You can order up either of these rides with 600 or 800 Cleanfire power or the new Patriot 850. Your call. The power options will have only a marginal affect on the inherent capabilities of these two similar but different chassis configurations. Here's a little known and little spoken advantage with the Pro S Switchback: If you ride minimal snow or icy surfaces regularly the Pro XC external shock skid cools better as a result of the rear snow-flap-mounted cooler taking advantage of every flake of cooling snow thrown-up by the track. On the other hand, the nod for ride quality conclusively goes to the Indy XC 137's Pro CC skid. For sure, the Indy XC, with its conventional closed tunnel, can haul touring gear with less fuss and in bigger quantities. While Polaris does have luggage specifically engineered to work with the Pro XC external shock system it can't be considered as versatile as the Pro CC's long, large tunnel that's the perfect platform for mounting gear. So there is our honest answer to a bunch of you who've been asking the burning question - which Polaris 137 is for me? Hope this helps.